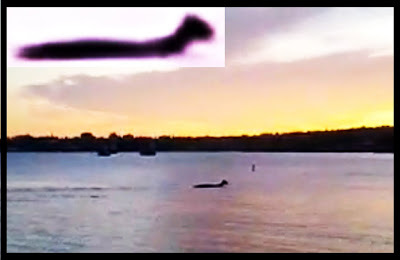 Ananka's Diary: Was the Lake Champlain Monster Caught on Film? I live in VT, but I haven't heard about this sighting yet. I hear about Champ all the time, though, so I sort of take this stuff for granted, but I do believe in him. It's an adventurous cutie pie. It looks like someone is swimming with an inflatable water chair thingy on their head. Please. That is SO not Champ. And trust me, I know Champ - he's in my book club. I call myself to be a expert on the lochness monster. And after countless hours on google looking up lochness monster pics i can almost tell when a pic is a real sighting of ? or a fan seeking popularity.I can tell ya that it is a fake!